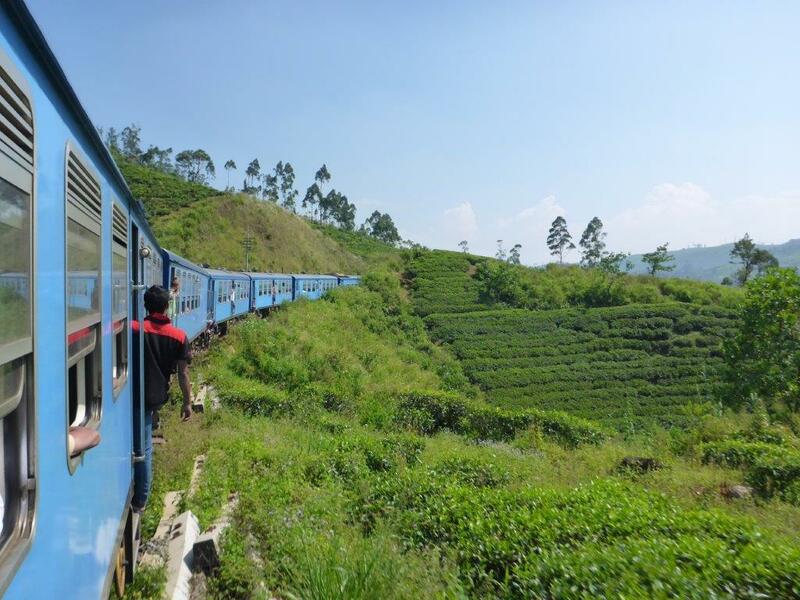 Hatton is the closest train station to Delhousie, the starting point for the hike to Adam’s Peak. Combining the start in the urban area of Kandy with the rural tea country, you are in for a treat! It was the day after the president election in Sri Lanka, so we were just a tiny bit worried if we would be able to get on the train, but the preconceptions about the curfew was happily wrong. We had booked the train tickets the day before, and had seats in 3rd class. The only difference between 2nd and 3rd was that the seats on the latter were formed more as a bench than separate seats, but still comfortable. So I would definitely go for 3rd class again! 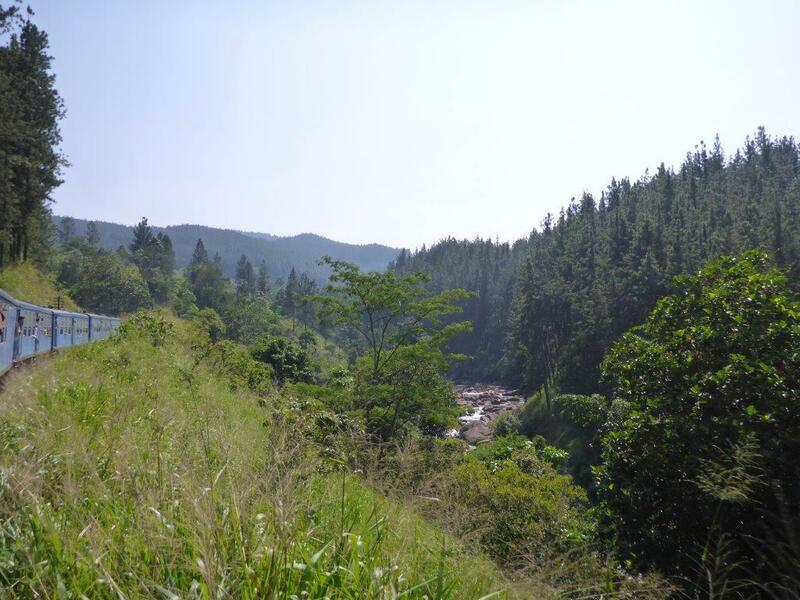 Starting off, the train worked its way through the civilization nearby Kandy, but as we moved on, the surroundings got wilder and greener. 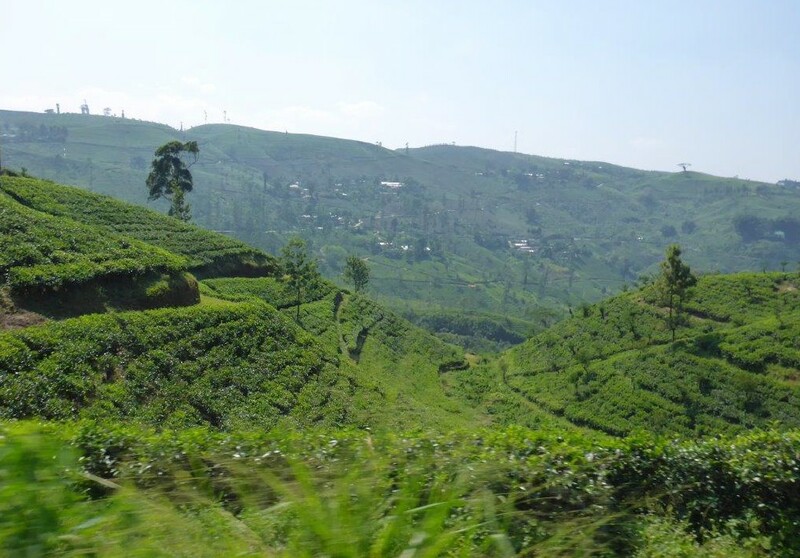 Continuing upwards in the so-called highlands (with reason), the train cut its way through the tea plantations. The bright green bushes sticking out from the blue sky backdrop, with the light blue train winding its way through the curves, made it just picture perfect! And, my beliefs were true; people are hanging out both windows and train doors. 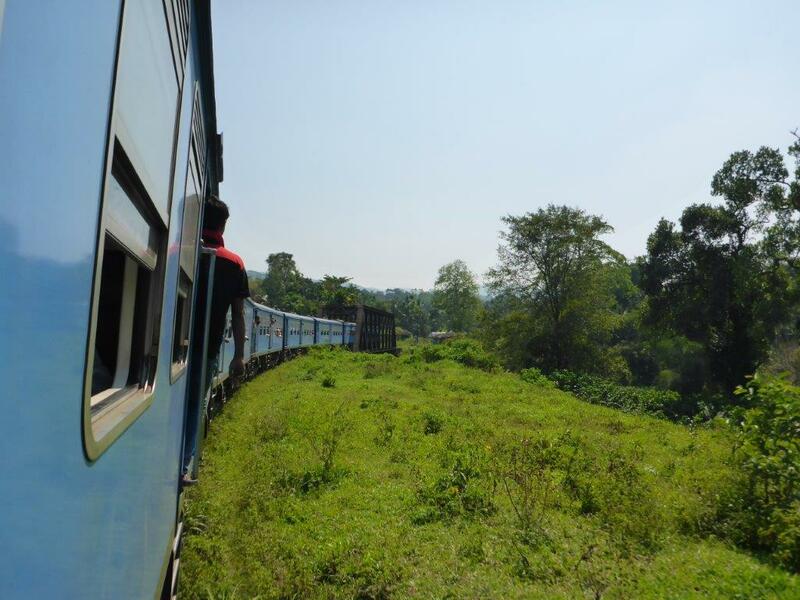 Train ride from Kandy to Hatton. Arriving in Hatton, a local bus was waiting to take the passengers onwards to Delhousie. Quite smooth transfer. And cheap! Only 75 LKR per ticket. 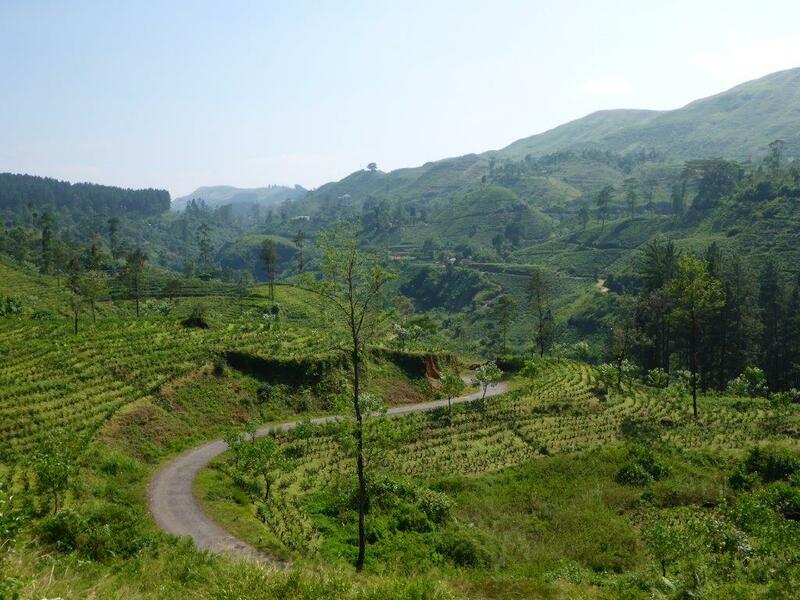 Embrace yourself for another hour of tea plantation beauty!